I’ll be straight up – this place is not for everyone. Muscle Pit is a no frills gym that houses a team of like-minded goal oriented individuals. The atmosphere is competitive and as such it will force you to achieve beyond your initial expectations both physically & mentally. We share our collective knowledge; we have the artillery & we have a support network that is proven. That said we are selective on who we let join – We want people that are team orientated, have a strong work ethic, a hunger to learn & a burning desire to be the best they can. There is a heap of other stuff as well but if you can’t get excited with the above lot, Muscle Pit isn’t for you. *New members need to complete a $50.00 strength assessment to establish their starting strength plus complete 3 x $70.00 Technique Sessions covering Squat, Bench and Deadlift.A personalised 9 week Strength Program is included on completion of the technique work. I am extremely interested in joining a ]n elite gym here in Perth. Have trained and worked out for many years in Ireland and America. Since my arrival to Australia I have not had the time or facilities to continue my training to the same extent and am eager to commence a new workout regeme. Hi Patrick, Thanks for the message. Always happy to talk to people who are keen to train. 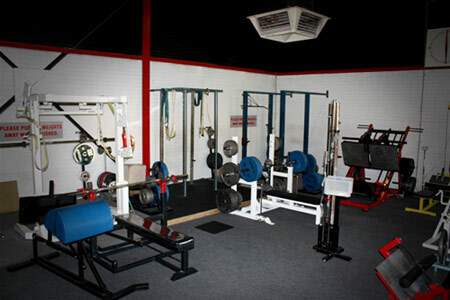 If you’d like to catch up for a chat & a look at our traing facility just give me a call on 0401 579 419 to arrange a time. Im very keen on joining and getting involved, however whilst I go to the gym often I am nowhere near a power athlete but I am very extremly keen to train and improve myself. Do you also offer PT sessions to assist with my lifting technique etc?? Hi Spence, Sorry for the late reply. Mate, If your keen to train and to get stronger you’ll fit in to this environment and thrive. In short we do have PT sessions available to cover technique as well as the odd seminar – our next one will be in August. Once you have an understanding of the principals of the techniques we use, the rest will be refined in the gym during training. Very interested in coming in Henry and having a look. Can I just come in or would it be preferable to arrange a time with yourself. Your more than welcome to check us out – just give me a call on 0401 579 419 and we’ll arrange a time. This place looks like heaven. just wonder if you can pay monthly or is it only in what is shown? Hi, would like to know the directions to muscle pit from jundaloop. I am a Strongman/powerlifter from Singapore and I will be staying in Perth for a month to complete my sports science degree from Edith Cowan university. Hi Henry, I was given the name of your gym by the Hi Potency shop in Canningvale(supplement shop). 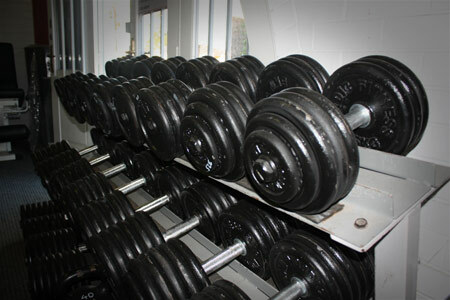 I am wanting to use weights and get stronger. I have done weight training before but would like to restart again. How ya going Henry? I am looking to get some training in Olympic lifting? Any chance this gym does some personal training and can show me a few things. My daughter Zoe saw the article in the west about the young girl who is a weight lifter. She would like to try out a couple of training sessions to see if she can do this. Can you please advise? Apologies for the late reply in answer to your question regarding competing age for powerlifting competitions. Thirteen is the recognised age for records, up until that point children are included as guest lifters. I’d be more than happy to sit down and discuss any concerns or questions Zoe may have if she would like to know more. We are situated in Cannington and I am contactable on 0401 579 419. This place looks awesome and a lot like the gym I usually train at back home in Sweden. Just a question about the strengh/technique sessions; are they obligatory or is it possible to skip them if you already are experienced with the exercises? Hi – I am very interested in learning more. Is there lock in contracts or is just a weekly debt?